Google’s ARCore is getting a new update bringing the version number to V1.7. This update brings new Augmented Faces API for the front camera and other improvements. It creates a “high quality, 468-point 3D mesh” of a user’s face, which can be used to create effects. The possible use cases include masks, hats, skin retouching, and more. 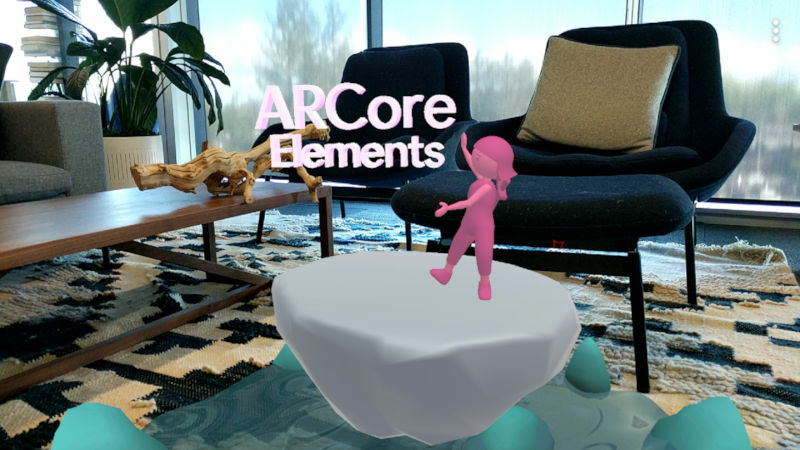 The mesh provides coordinates and region-specific anchors that make it possible to add these effects.ARCore 1.7 also includes ‘ARCore Elements,’ which are a set of common AR UI components for Unity developed and tested by Google. Like the Augmented Faces API, this too will prevent developers from having to write object detection code for common use cases without having to reinvent the wheel. ARCore Elements includes two AR UI components that are especially useful; Plane Finding streamlining the key steps involved in detecting a surface and Object Manipulation using intuitive gestures to rotate, elevate, move, and resize virtual objects. Other improvements in the ARCore 1.7 include the ability to ‘pause’ an AR experience and improving object animations.